Just one story from among millions. 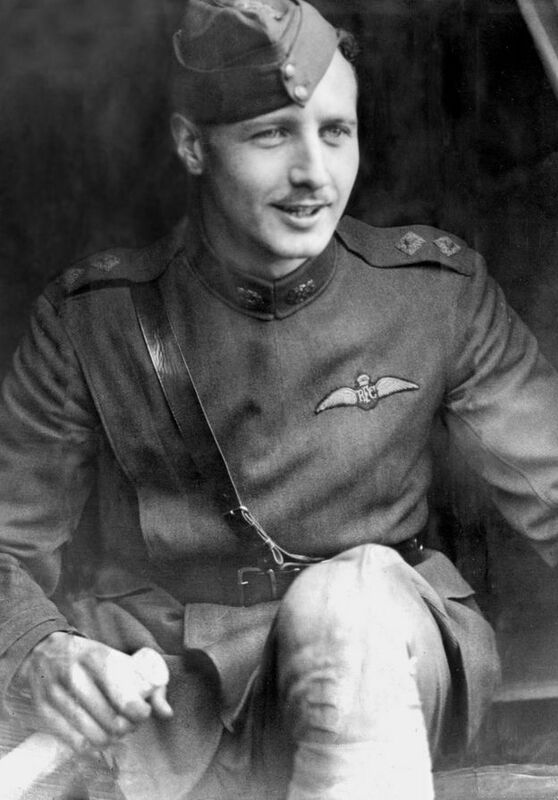 William Leefe Robinson, then aged 21, was the awarded the most prestigious Victoria Cross for shooting down a Zeppelin airship, the world’s first long-range bomber, used by Germany over southern England. The Zeppelins flew at a high altitude out of the reach of ground fire. And at first, they seemed impervious to air attack. A combination of explosive and incendiary bullets was the answer. The blaze of the Zeppelin shot down by Robinson was so fierce even the framework of the Zeppelin disappeared. 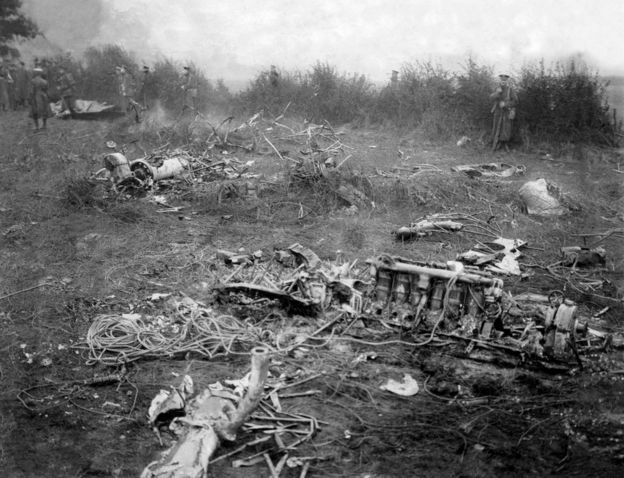 William Robinson (centre) was cheered by his fellow airmen the day after destroying the Zeppelin SL-11 over Cuffley, in Hertfordshire. 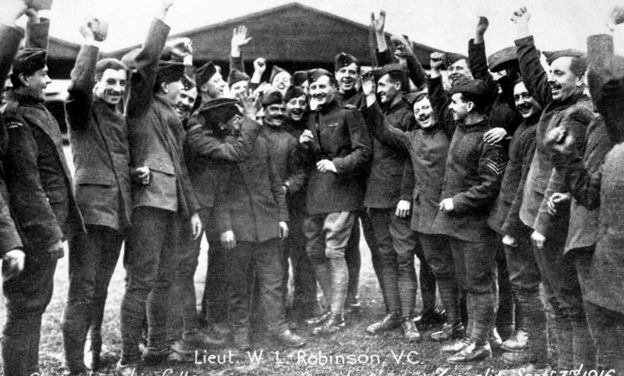 In April the following year, Robinson himself was shot down over France by the squadron let by Manfred von Richthofen, the famed Red Baron, and spent the rest of the conflict as a prisoner of war, making repeated but failed attempts at escape. Tragically, like many young people, he died of influenza within a fortnight of returning home after the War. Just one story from amongst millions. Lest we forget. Remembering the dead of two world wars, and all the other wars. When Dr Who gets very very real.